With all the awesome ornament ideas floating around on pinterest lately, I couldn't deny the urge to pull out my paint. And glitter. And ribbon. And glue gun. And mod podge. So I'll be doing a 3 part tutorial on some of my favorites. 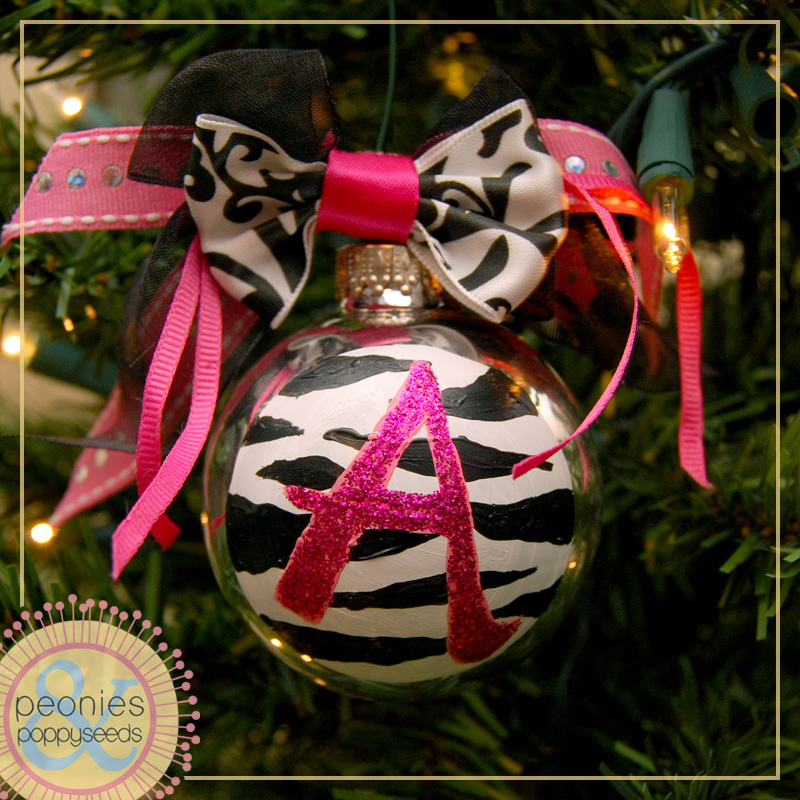 This ornament is for my niece, who owns all things black/white/pink. To make it, I started by painting a white circle on a silver ornament. 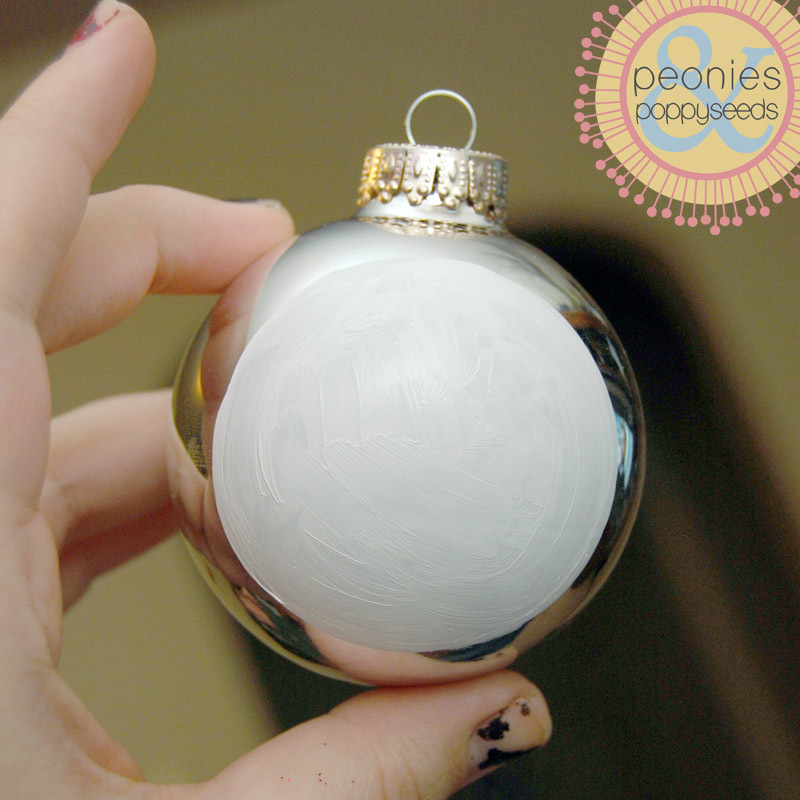 It works best if you start with a small circle and then just add to the edges to make it bigger and bigger until it's the size you want. That way you can fix any circular wonkiness as you go along. Then, once the paint dried, I painted the black zebra stripes on top of the circle. 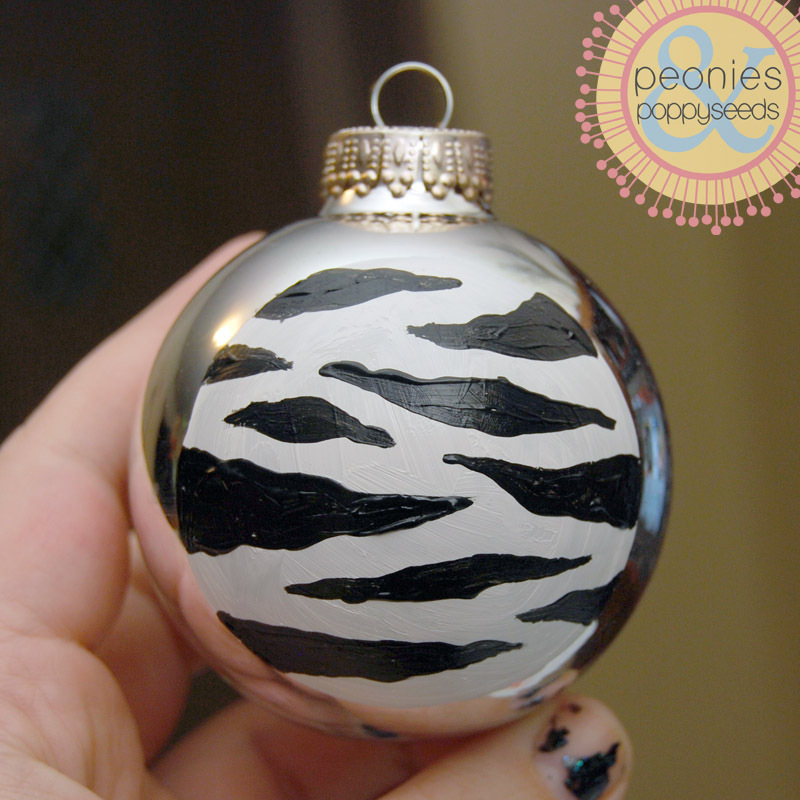 I just did these freehand, because zebra stripes are pretty forgiving. Then, once all my glitter was dry, all I had to do was add the 50 ribbons to the top and it was done. 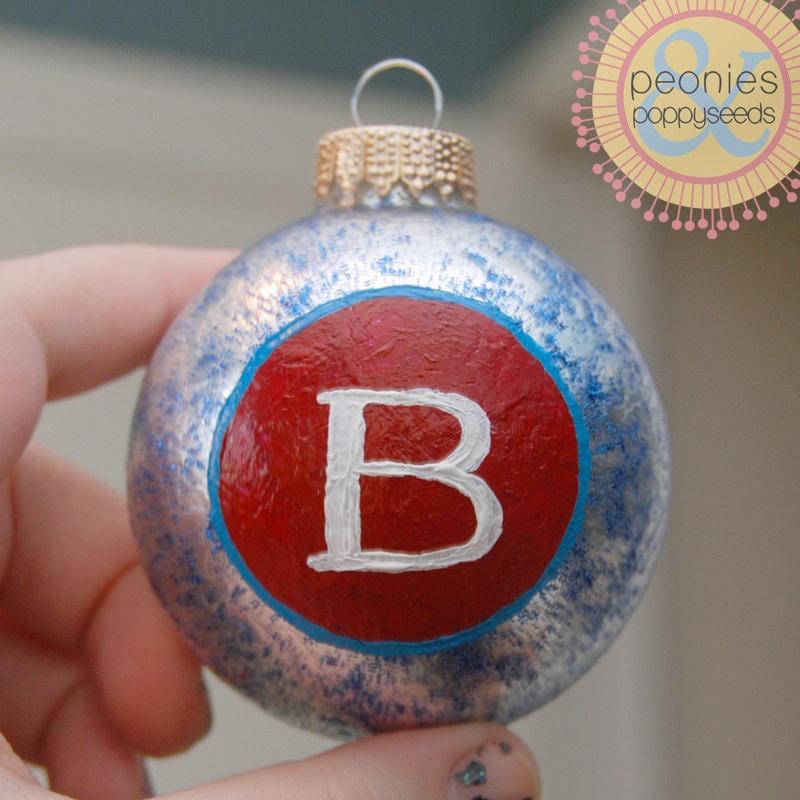 So then I made a letter B ornament. Because my last name starts with B, so it's a good letter. This ornament took longer, because first I covered the entire silver ornament in blue glitter glue and it took awhile to dry. 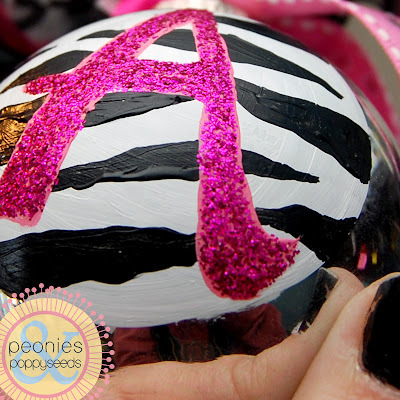 Especially because, after the glitter was dry, I coated the whole thing in a thick layer of mod podge. 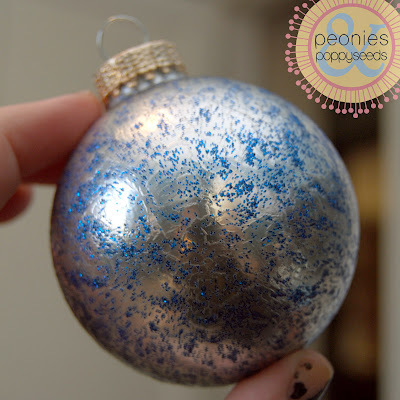 (I found that while dollar store glitter glue is easier to work with, it dries kind of flaky and I didn't want it all rubbing off, hence the mod podge. However, I also found that if you just coat everything in massive fog of hair spray, it will also help the glitter to keep from rubbing off). 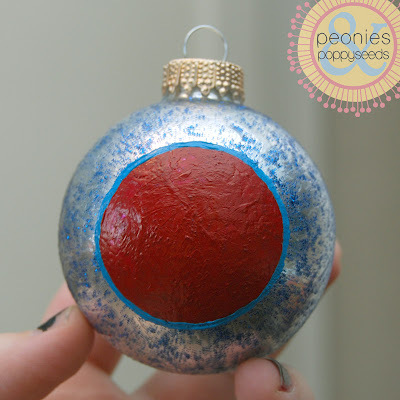 Once all the glitter and mod podge was dry I painted a red circle in the middle of the ornament, and I gave it a blue edge to match the blue glitter. 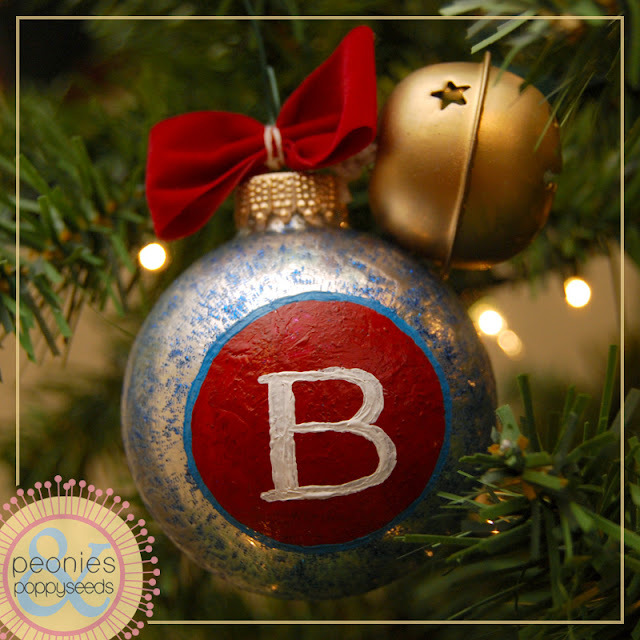 And once the paint was dry, I paint a white B in the middle of the circle. Then I attached a gold jingle bell and a little red bow to the top with some white thread, and now it doesn't just look good, it jingles well too. 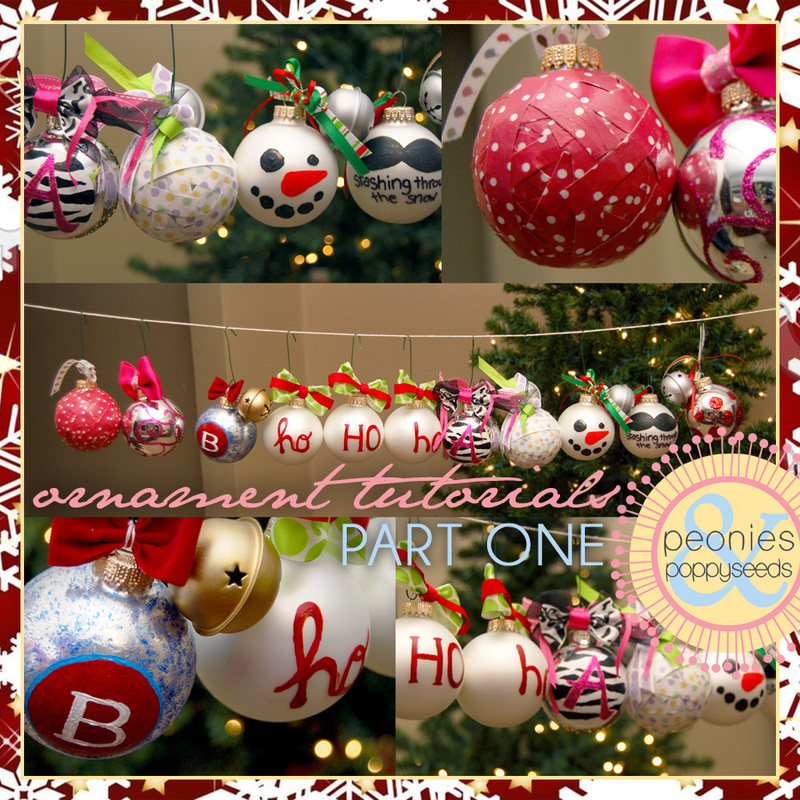 Make sure to come back tomorrow for part 2 of the ornament tutorials!